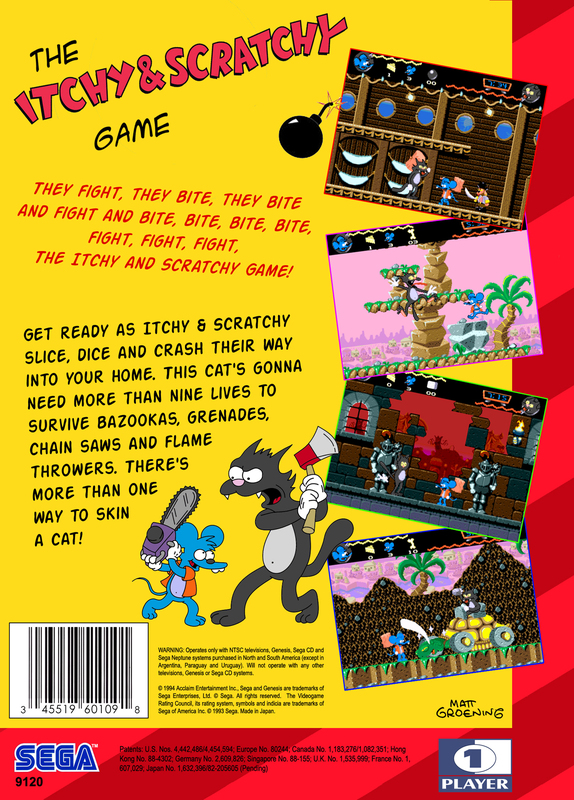 Краткое описание: Itchy & Scratchy is a single player platform side-scroller. The player controls Itchy, the mouse, and must defeat Scratchy, the cat, with a variety of weapons. Itchy caries a default mallet, but can pick up additional weapons on particular levels. Each of the seven levels takes place in a different fictional location and is designed as a maze of doors and platforms. After defeating Scratchy, he usually will return with a special contraption to attack Itchy, and must therefore be defeated again. 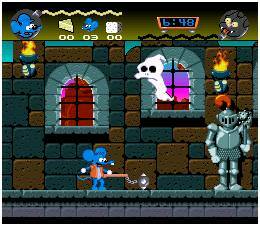 Itchy & Scratchy is a single player platform side-scroller. 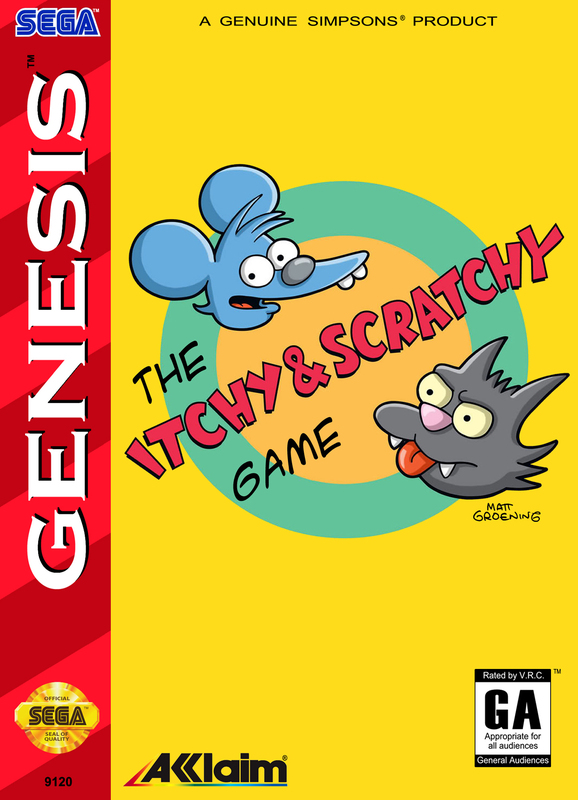 The player controls Itchy, the mouse, and must defeat Scratchy, the cat, with a variety of weapons. Itchy caries a default mallet, but can pick up additional weapons on particular levels. Each of the seven levels takes place in a different fictional location and is designed as a maze of doors and platforms. After defeating Scratchy, he usually will return with a special contraption to attack Itchy, and must therefore be defeated again.